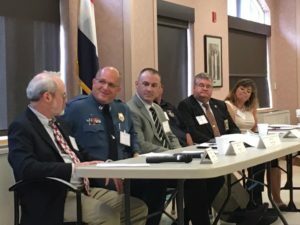 On August 17 in Kansas City, law enforcement officers and behavioral health providers mapped out a path toward a higher-performing crisis system. 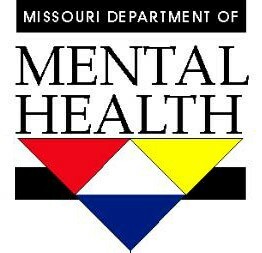 Missouri has been a national leader in its response to individuals experiencing mental health crises who are in regular contact with law enforcement, the court system, and/or emergency departments. Yet, far too many Missourians continue to fall through the cracks—a call to action for advocates and policymakers to support a better continuum of care throughout the state. On August 17, the Missouri Coalition for Community Behavioral Healthcare, in partnership with BHECON and state law enforcement, hospital, and emergency care organizations, hosted a public forum to provide a scan of the current intersection of law enforcement, the courts, and the behavioral health system in Missouri, identify gaps and challenges facing the current system, and delve into policy changes needed to support a better continuum of care. 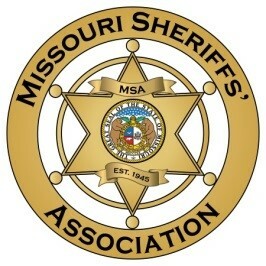 Click here to download the agenda for the Improving Missouri’s Crisis System Forum. Panelists discuss law enforcement responses to people in crisis. From left to right: Rick Gowdy (Director, MO Dept. of Mental Health), Capt. Darren Ivey (Kansas City PD and Missouri CIT Coordinator), Sgt. 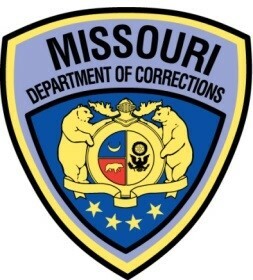 Jeremy Romo (St. Louis County PD & Missoui CIT Coordinator), Sgt. Joe Matherne (Jefferson City PD), Sheriff Kevin Bond (Pettis County Sheriff’s Office) and Peggy Goreflo (Community Mental Health Liaison – Tri-County Mental Health). A panel of law enforcement officers and community mental health liaisons discussed the role of first responders in supporting individuals in mental health crisis. 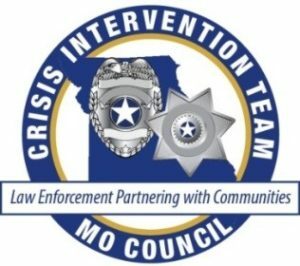 Missouri has prioritized training officers in Crisis Intervention Training (CIT) and has a website that tracks the program’s expansion across the state. Today, 45% of the police force on patrol is trained in CIT, which is important because 30-35% of all calls for service are to help someone in crisis. 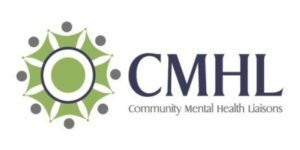 CIT-trained officers work with community mental health liaisons to link individuals to health care services and supports. Panelists agreed that in addition to expanding state funding of CIT and community mental health liaisons, Missouri must work to expand community treatment options available—for example, through the Excellence in Mental Health Act demonstration program and by increasing the availability of diversion programs. 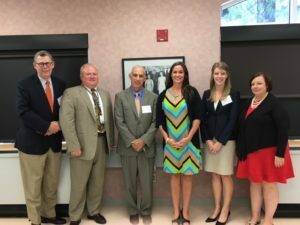 Click here to view the article published by the Sedalia Democrat about this Missouri BHECON forum! The article shares Sheriff Kevin Bond’s reaction to the forum and discusses the impact of Crisis Intervention Training for law enforcement officers. How we talk about mental illness affects the way we interact with people in crisis and can change the course of their lives. 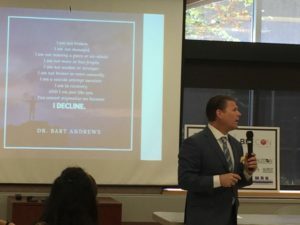 That was Dr. Bart Andrews’ message to law enforcement officers and emergency room personnel at the forum. His prescription: change our language and attitudes toward mental illness, achieve zero-suicide communities through improved suicide care, and expand access to care to more people in their moment of need. Courts, hospitals, and community providers must partner to provide the most effective crisis interventions. The final discussion of the day featured a new emergency diversion clinic set to open in Kansas City this October. Established as a joint initiative between a local court, hospital, residential behavioral health clinic, and community-based mental health provider, the diversion center will “meet people where they are” to link people 24/7 to clinically appropriate, timely services and divert them from further involvement in the criminal justice system or emergency room. A 2016 report showed 61% of Missouri hospitals had to “board” mental health patients while seeking transfer to other care settings. Panelists agreed that not only does this type of facility help individuals who need specialized care, it will also provide significant cost savings to the state by lowering remittance rates to jails and emergency rooms. ReDiscover’s mental health outreach & engagement program decreased homelessness by over 75% in just 3 months.